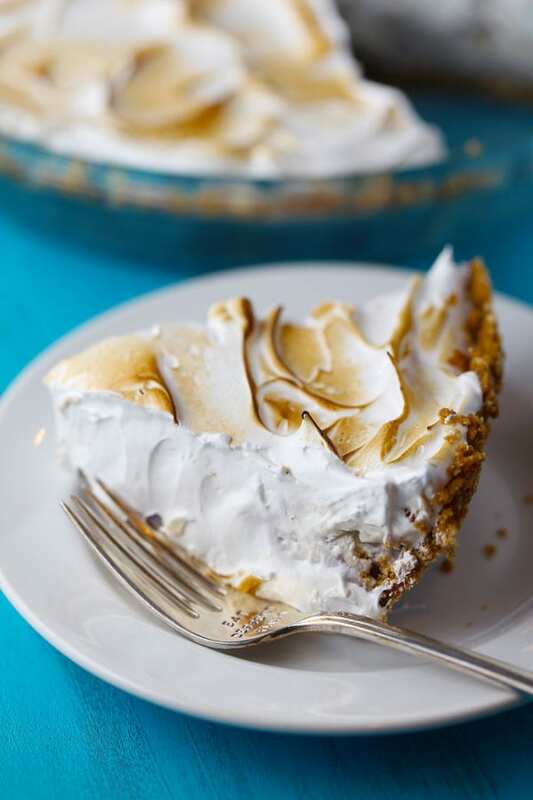 Baked Alaska Ice Cream Pie is a gluten-free, dairy free pie made of a graham cracker crust, ice cream and toasted meringue. 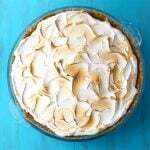 This pie was inspired by Style Sweet CA where Tessa tells us that Baked Alaska Ice Cream Pie is not only beautiful but incredibly EASY! Once I read that, I was in! I just had to tweak her recipe a bit, so that my daughter could eat it. So my version is gluten free and dairy free. 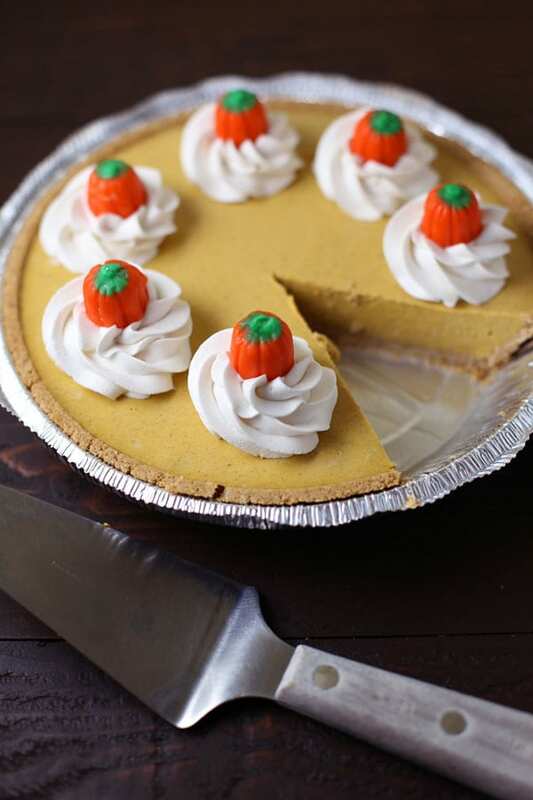 The cool thing about this pie is that the filling is already made for you since you are using ice cream. All you have to do is make a simple graham cracker crust, then fill it will ice cream and freeze. Next comes the fun part. Make a simple meringue and spread over the top of the ice cream. Then get your handy dandy kitchen torch and fire away! This would be an awesome thing to do at a party. You could give them a real show! 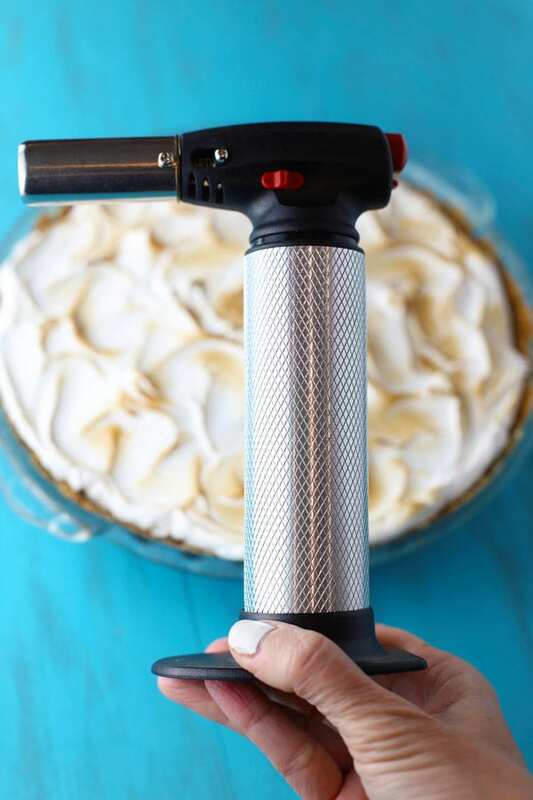 If you don’t have a kitchen torch, you can toast the meringue in the oven. 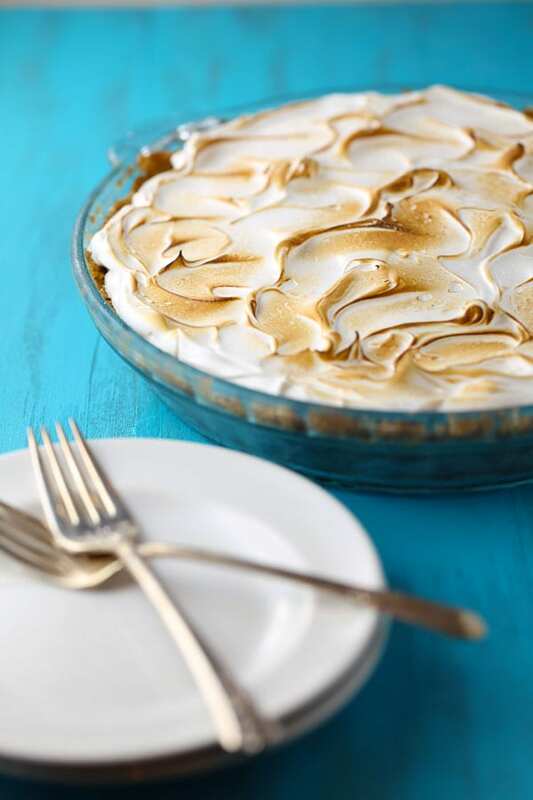 I’ve never actually made Baked Alaska before but now I want to try it. I always thought it would be difficult to make but it’s not at all! 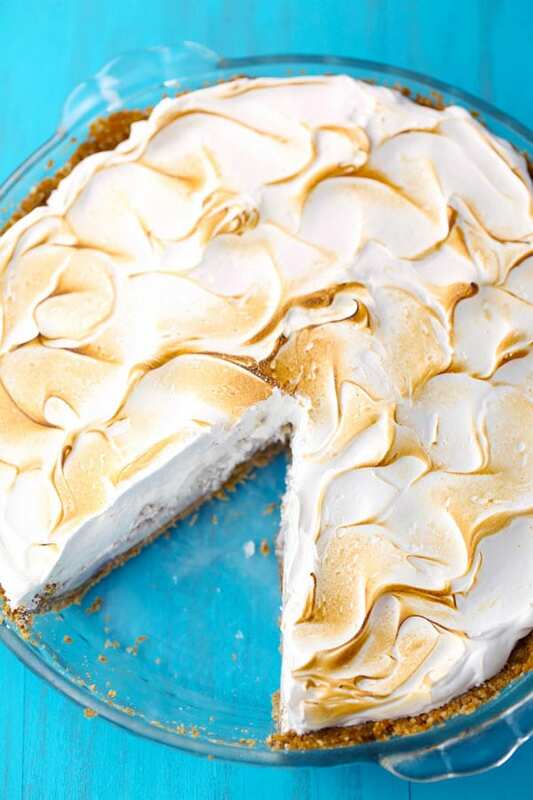 This Baked Alaska Ice Cream Pie is so delicious! 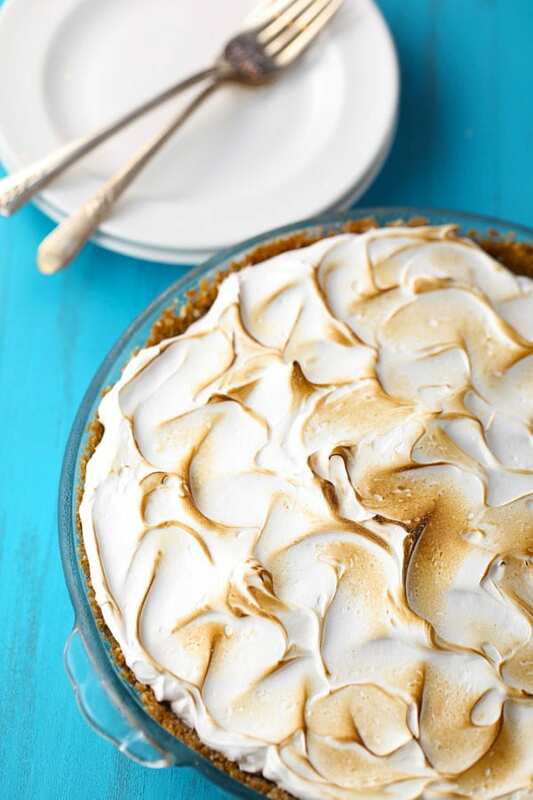 I just love the combination of the meringue, ice cream and graham cracker crust. You can use your favorite ice cream flavor (dairy free or regular). If you use chocolate ice cream, it tastes just like s’mores. Yum! Let me know if you try this recipe. Post a photo to Instagram and tag @momlovesbaking to get a chance at being featured on our page. 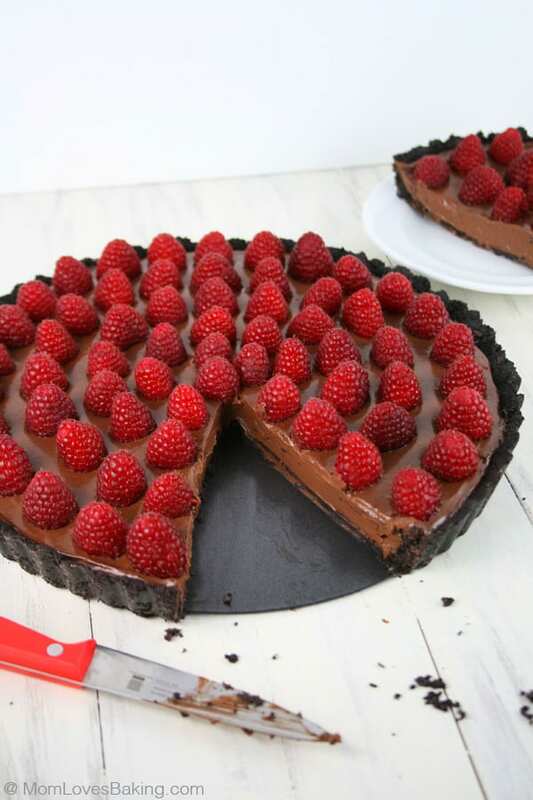 Note: If you noticed the cute fork above, it says “Eat Dessert First” and I got it on Etsy. 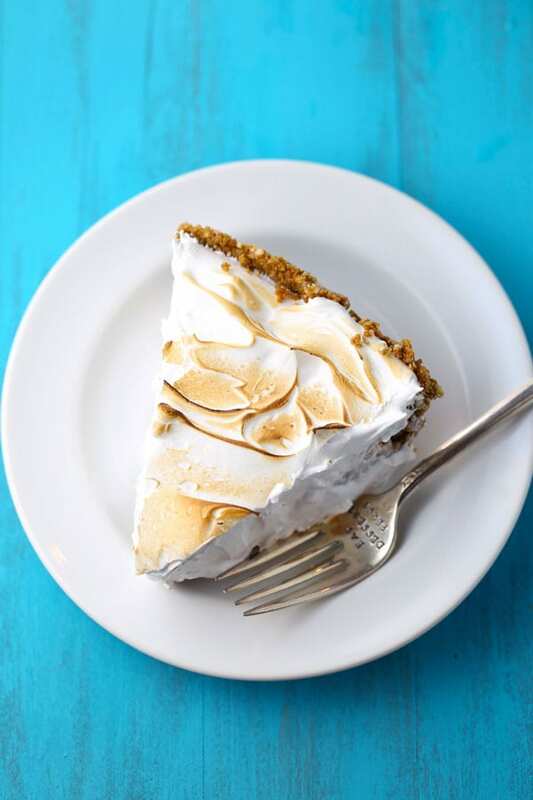 A simple yet delicious pie made of a graham cracker crust, ice cream and a toasted meringue topping. This recipe is gluten free and dairy free. 2 cups gluten free graham crackers or sugar cookies (8 oz. box of cookies) If you can't find this, try using gluten free Honey Nut Cheerios instead. Crush cookies (or cereal) in a food processor or put in a large resealable bag and pound with a rolling pin until fine crumbs form. Pour cookie crumbs into a medium bowl. Add melted buttery spread and stir to combine. Press into an ungreased 9-inch pie plate or dish. Make sure the crumb mixture is distributed evenly, then pressed down on the bottom and up the sides of the dish. Bake at 350°F for 10-12 minutes. Let cool completely. Meanwhile, let the ice cream warm up a bit. You want it to be soft. Once it's thawed out some, pour into a medium bowl and stir until it's smooth. Pour the ice cream into your cooled crust, then place back into the freezer to freeze. This will take at least 2 hours. Once it's completely frozen, then you can add your topping. Place egg whites and sugar in the bowl of an electric mixer. Set aside. Fill a medium saucepan with a few inches of water and bring to a boil. Reduce heat slightly so it’s more of a simmer Place the mixer bowl on top of the saucepan to create a double-boiler and start whisking immediately. Keep whisking constantly for 1.5-2 minutes or until the sugar is completely dissolved. It shouldn’t take more than about 2 minutes. DO NOT STOP WHISKING OR YOU’LL HAVE SCRAMBLED EGG WHITES. Once sugar is dissolved, carefully move the mixer bowl back to the stand mixer. With the whisk attachment, beat the egg mixture on HIGH until stiff peaks form (about 8-10 minutes) and the outside of the mixing bowl feels like it’s at room temperature. Add in vanilla extract and mix until combined. 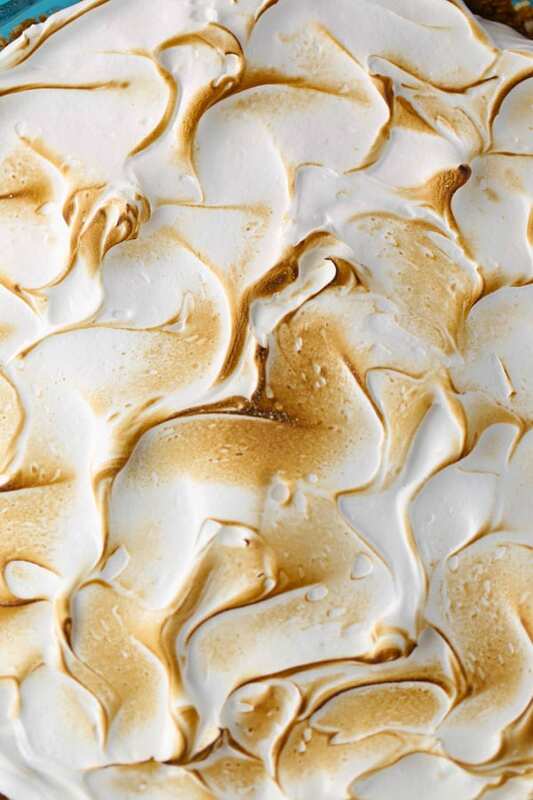 Then, using an offset spatula, spread the meringue on top of the chilled ice cream. Create a swirled pattern because it looks pretty that way. Now the fun part, lightly toast with a kitchen torch. If you don’t have one, place under the broiler just until browned. Serve immediately or place back in the freezer. 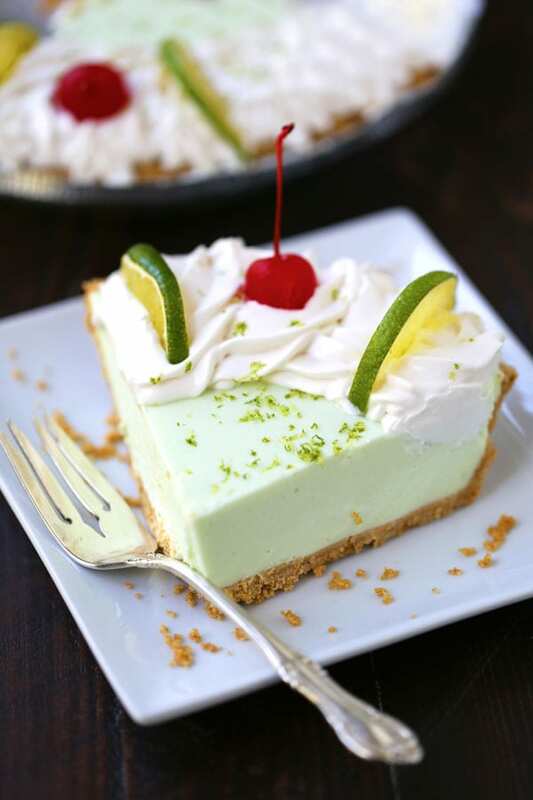 This No Bake Key Lime Yogurt Pie could easily be made gluten free with a store bought gluten free pie crust. Haha! It really is fun! You should get one.